Check out the first episode of Embedded for UFC 236. UFC 236 is almost here, and as usual, Embedded is here as well. The show that gives you an inside look at the marquee contestants on PPVs has issued the first episode for this weekend’s big show in Atlanta, and it serves as a brief introduction to the fighters at the top of the card. Things kick off at the Porsche Experience Center in Atlanta. 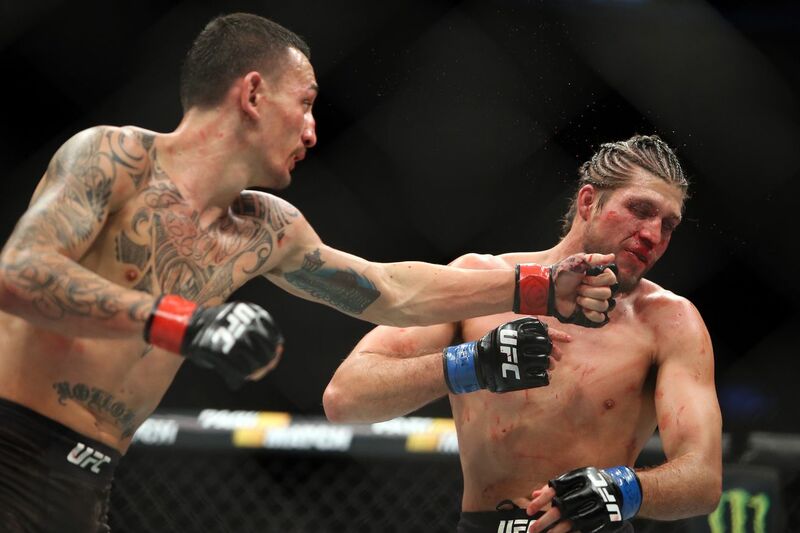 Max Holloway is getting fast. A lot of fighters are all business on fight week, but Holloway likes to go out and experience whatever town he’s in. He has big news - he’s retiring from MMA. To become a driver. Kelvin Gastelum is out doing sprints again. He’s let down by not getting the Robert Whittaker fight, but he’s got another opportunity in front of him. Out to Florida and ATT. Dustin Poirier is goofing around with his daughter and talking about her growing up. Thiago Alves is his striking coach, and he describes a training session. Mike Brown gets in on it too. Back across the country again to Huntington Beach, where Gastelum is hanging with his mom and sister and watching people on jet skis in the water. He talks a bit about Holloway going snowboarding on a previous fight week and thinking he’s crazy. Back to ATL. Holloway and his team are trying to find a teammate’s car because he can’t remember where he parked it. They just end up going for a sparring session and “touch pads in the park”. Another Conor McGregor reference. One of his teammates got a tattoo of St. Michael, but he makes the camera check it out because the face looks a bit like Holloway’s.